Want something fast, fresh, and light? 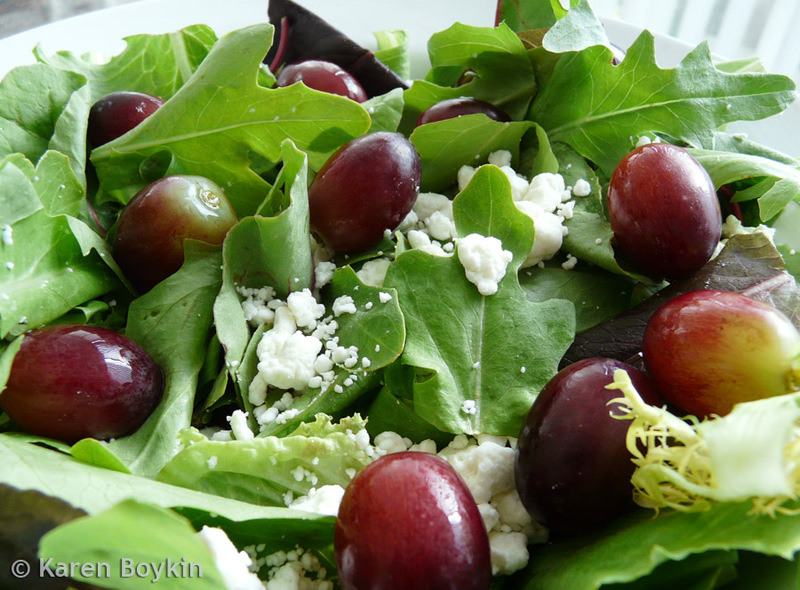 Drop a few ginormous red grapes and some crumbled goat cheese atop mixed baby greens. Add a drizzle of raspberry vinaigrette dressing and you end up with sweet, tart, and creamy goodness in a bowl. Dig in!